Did you have a memorable experience at The Read House? 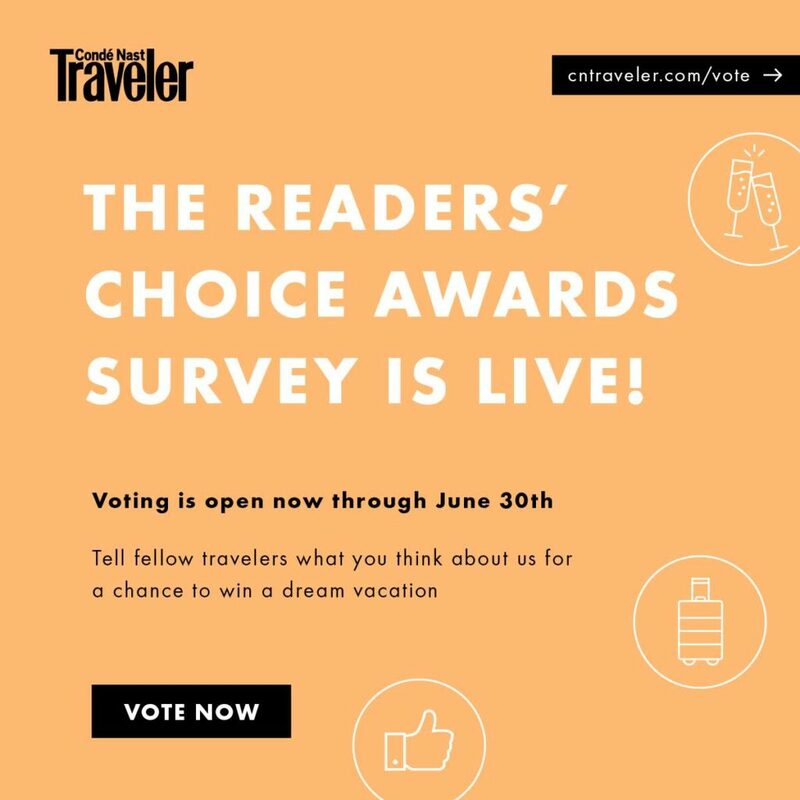 Show your love by voting for us in Condé Nast Traveler’s 2019 Readers’ Choice Awards. We are honored to be included in the voting for the world’s longest-running travel awards program. Condé Nast Traveler’s Readers’ Choice Awards celebrates the best of the best in travel today. Winners are selected entirely by readers. Voting is open now through June 30th.